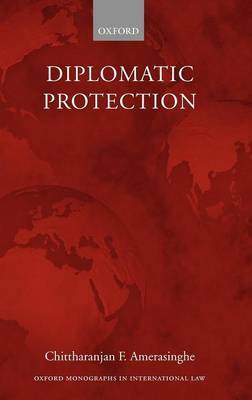 This book offers a juristic exposition and analysis of diplomatic protection as an institution of public international law. Diplomatic protection is primarily exercised by States towards their nationals, and exceptionally non-nationals, against violations of international law by other States, and is one of the oldest traditions of international law. The book starts with a history of the subject, and charts the development of diplomatic protection conceived as an institution of international law. It goes on to discuss the violations of international law which can trigger diplomatic protection, arrangements which are excluded from this type of protection, conflicts of interests underlying the principle and how these can be resolved, and the influence of human rights on the area. Subsequent chapters look at attempts to codify the law of diplomatic protection, and offer a critical examination of this in the light of modern policy considerations, and the recent work of the Int Law Commission. The book concludes with an assessment of recent changes in the law and the importance of these from the point of view of the individual.